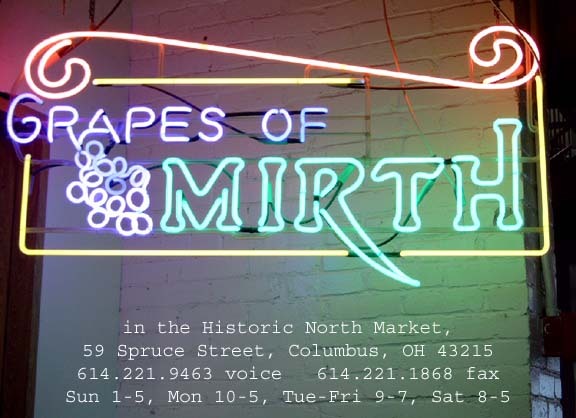 Grapesof Mirth, the best little wine shop in town, has closed for the near future. We still have the unmatched knowledge and experience to help you find the products you are looking for, as always. Feel free to drop us a line and we will direct you to the product you desire at the best price possible. You can still reach me via email. Check out the Wine and Beer pages to see what's new!